This info was found at: Adam Patterson’s blog. This entry was posted in computing, linux, wordpress and tagged packages on July 14, 2018 by David. Admin > Appearance > Widgets. The drag ‘Custom HTML’ to the ‘Footer 1’ widget. This did 90% of the job. There was just one other thing I wanted to do: Make the footer full-width. By default, Twenty Seventeen has two half-width footers. 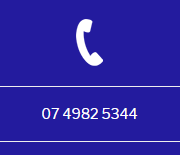 I also went in and changed the css so that the footer was full-width. This entry was posted in computing, wordpress and tagged css, html, twenty seventeen on July 14, 2018 by David. This entry was posted in computing, wordpress and tagged css, footer, twenty seventeen on July 14, 2018 by David. The main thing I did was change the theme from the old ‘Pinboard’ theme to the newer ‘Twenty Seventeen’ them. It’s a fantastic theme that I was able to do a lot of things with. There were a few things that I had to figure out how to do. The next couple of posts will be a few short ones so I can document the changes I made. As I’ve marked above, comment out the ‘text-transform: uppercase;’ part to remove the uppercase font on the title. As you can see from the picture below, it works well! This entry was posted in computing, wordpress and tagged css, wordpress on July 14, 2018 by David. I run Tiny-Tiny-RSS as my Google Reader replacement. It’s fantastic. However, now I’ve moved to a VDS, and I needed to install some additional packages. These weren’t listed on the TTRSS install site, so I’ve listed them here, so I can find them again in the future. This entry was posted in Uncategorized on July 9, 2018 by David. This file gets called by odroid-tweaks.service, which gets run at startup. This entry was posted in computing, odroid on June 17, 2018 by David. I picked this up a couple of weeks ago. 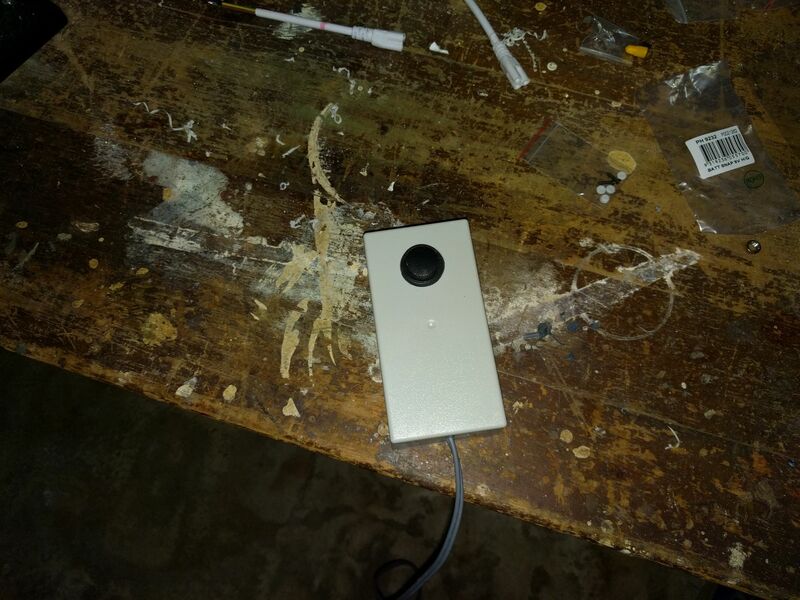 It’s the Odroid XU-4. It’s basically a Raspberry Pi, but with significantly enhanced specifications – it uses a Samsung Exynos processor, EMMC storage and 2GB ram. It’s about twice the price of the Pi, but with over 4x the performance. It can run a variety of Linux and Android OS’s, with images supplied by the factory, though you can use any you want, provided you can compile up the right kernel. I thought I’d use it as a Linux server. I wanted to try to run one at home, but I didn’t want to run my large desktop computer, with its high power needs. The Odroid only uses a few watts at peak. So how’s it working? It works great. I’ve currently got this blog and another site that I use hosted on it, and I think it actually works quicker than the shared hosting that I was using previously. 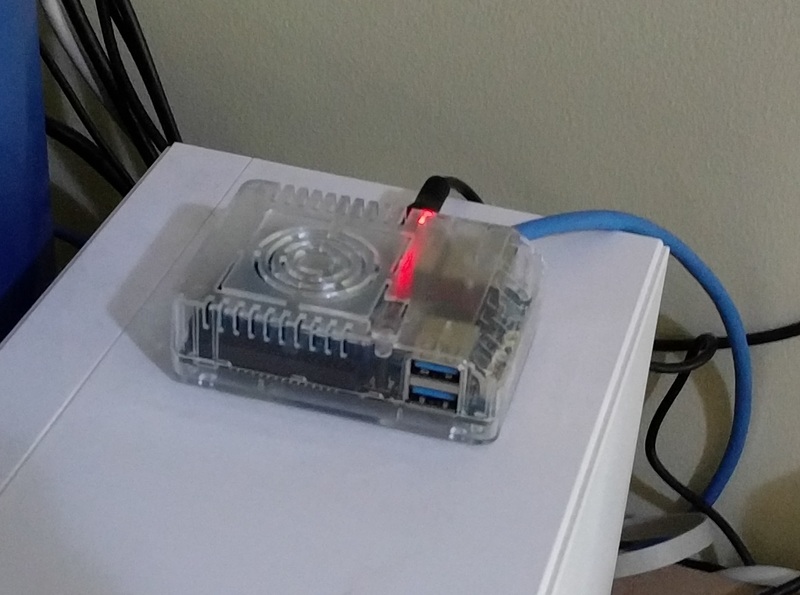 This entry was posted in computing, linux, odroid on June 13, 2018 by David. 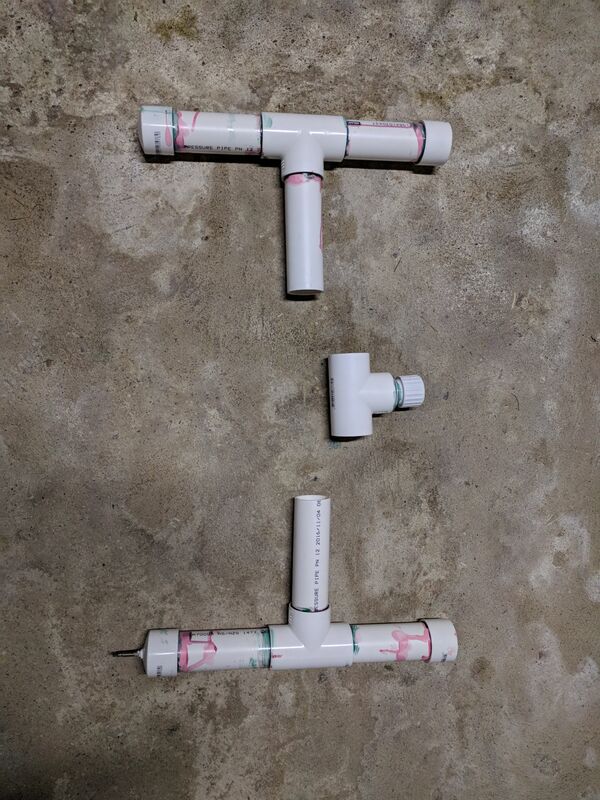 I built a rocket-launcher on the weekend. How often can you say that? This one is air-powered, and launches paper rockets high into the air. My brother built one for himself a while back, and for Christmas he gave me the key part (the air solenoid) and some fittings. The basic design is a H-shape, to provide stability for the base. 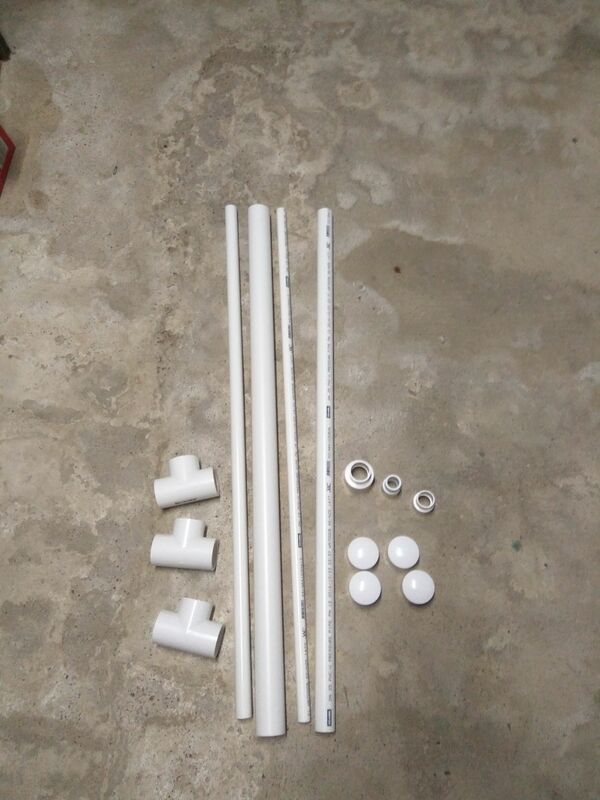 Apart from the solenoid, all the pieces for the launcher are made from standard PVC pipe. A quick trip to Bunnings provided everything I needed. Typical Bunnings trip. I then cut the PVC pipe into the right lengths. I drilled a hole into one of the end-caps, and put through an old bicycle-tube valve. 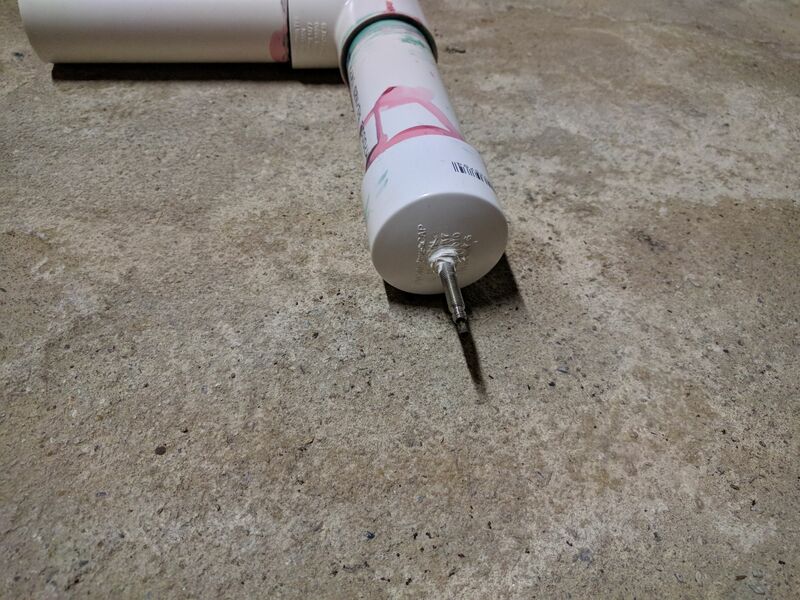 I made sure that it was glued and silicon-sealed it well, for air-tightness. All the parts were then joined together with standard PVC sealant. I then put together the solenoid section. Overall, it works great. I think I definitely over-built it, it doesn’t nearly need to be this big, could easily be half the size and still work well. I left two joins to be screwed-in, rather than sealed, so that it could be disassembled to lie flat. 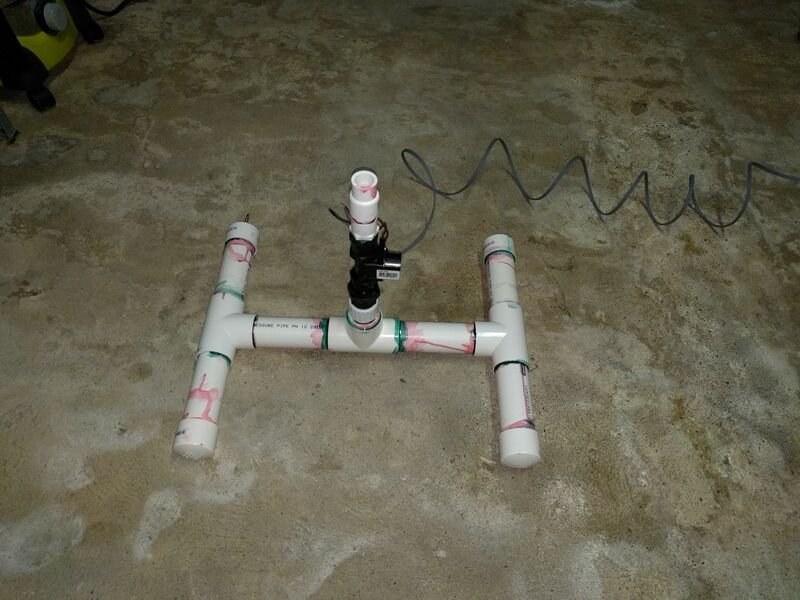 This entry was posted in projects and tagged PVC, rocket launcher on May 27, 2018 by David. I’m currently working in a client’s office, on an extremely locked-down Windows 7 PC. 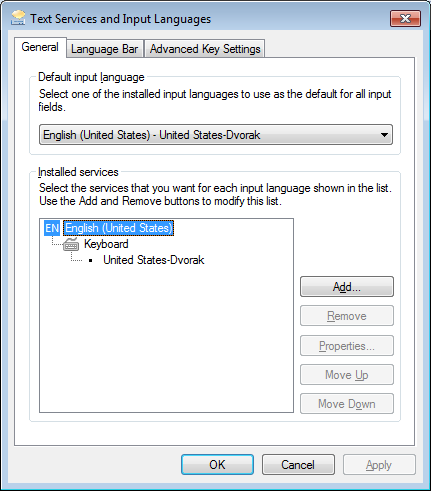 As usual, I want to change to the dvorak keyboard layout, which is my standard. However, the environment on the computer is reset every couple of days, which wipes out my keyboard setting. This entry was posted in computing and tagged dvorak, windows, windows 7 on May 9, 2018 by David. This is a bit of a follow-on from my previous post, in which I was setting up https access on my website. Once you’ve got https set up correctly, you might, like I did, want to make sure that all traffic to your website now goes the the SSL connection, rather than through an unencrypted connection. This will redirect all traffic to the SSL connection. This entry was posted in computing on April 3, 2017 by David.